If you like James Rollins, Dan Brown, and Clive Cussler you'll love Toyne. 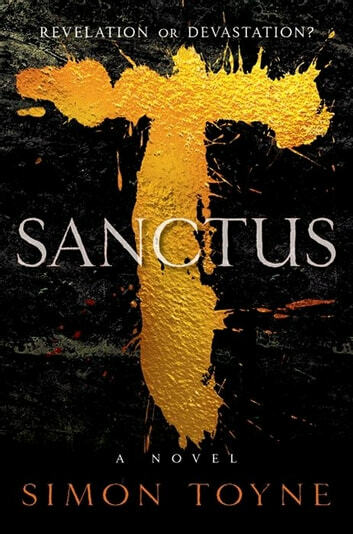 Sanctus is the first book in a trilogy with lifelike characters forced into heroic actions caused by a secret sect with a history dating back to times before the Bible. Engrossing and very believable but with just the right amount of mystical backstabbing and one amazing secret ... to keep the trilogy going, and the reader engaged with the protagonists. Good for adults, and young adults. Toyne delivers a great first novel and I'm interested in reading the rest. 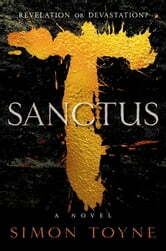 Old secret society, two parties warring thru time and the final battle for the Sanctus. Not what I usually read but happy that I did! Didn't want the book to end. Can hardly wait for the next in the trilogy. Very interesting story line. Really enjoyed this book. Only put it down when I had to in order to keep on living. Lots of secret society-type things, lots of ancient mystery, lots of suspense. I'd never heard of Simon Toyne before reading this book, now I want to read of his stuff!